Objective: To study the current clinical presentation of complete molar pregnancy. Method: Retrospective study of the clinical and ultrasonographic records of 41 patients with complete hydatidiform mole. Results: 17 (41%) patients were asymptomatic. 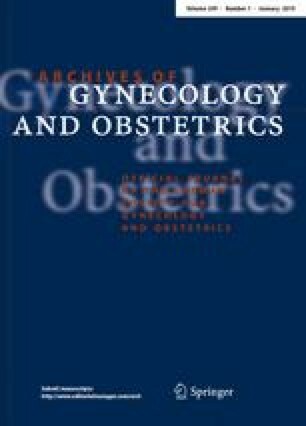 24 patients (58%) presented with vaginal bleeding, 6 (15%) had excessive uterine size, 1 (2%) had anemia and 1 (2%) had hyperemesis. Non of the patients had any other systemic manifestation. Pre evacuation ultrasound was performed in all cases and molar pregnancy was diagnosed in 36 (88%). Conclusions: Currently with routine first trimester ultrasonography a significant proportion of patients with molar pregnancy are asymptomatic at the time of diagnosis.